Join us for a week in Memphis, TN. One week can transform your life. High school and junior high groups from all over the United States come for one week to partner with SOS as we connect you with homeowners in need of critical home repair in the neighborhoods of Binghampton, The Heights, and Orange Mound, in Memphis, TN. We hope to instill a heart for gospel-driven service and mission as youth serve others in the name of Christ. 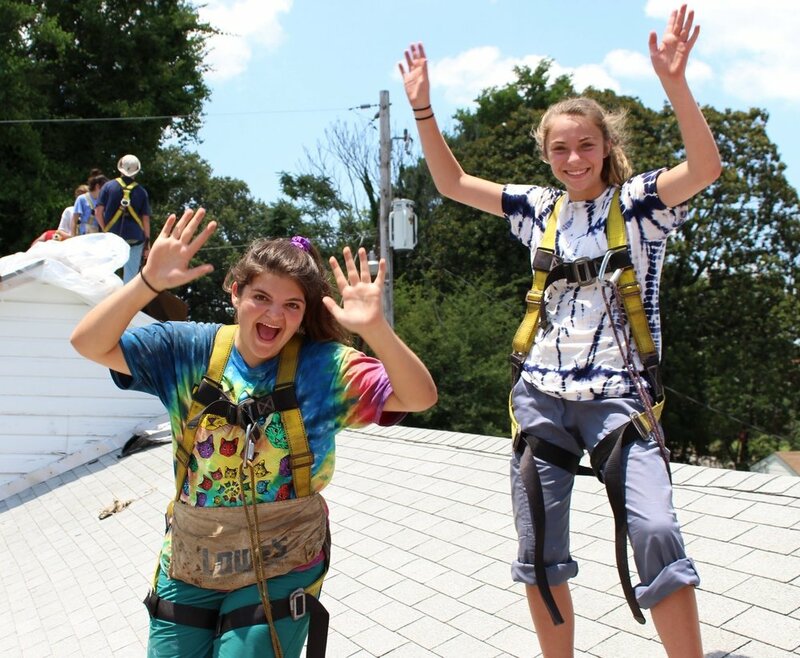 As an expression of Christ’s love, SOS seeks to empower people and transform neighborhoods by utilizing volunteers to replace roofs for economically disadvantaged homeowners. Take a look at past Summer Camp photos. Paid summer staff positions. Ten weeks in Memphis, TN. Intense discipleship opportunity. Instant community. Camp food + fun 24/7. Ready to join our family?